Love FREE SHIPPING! 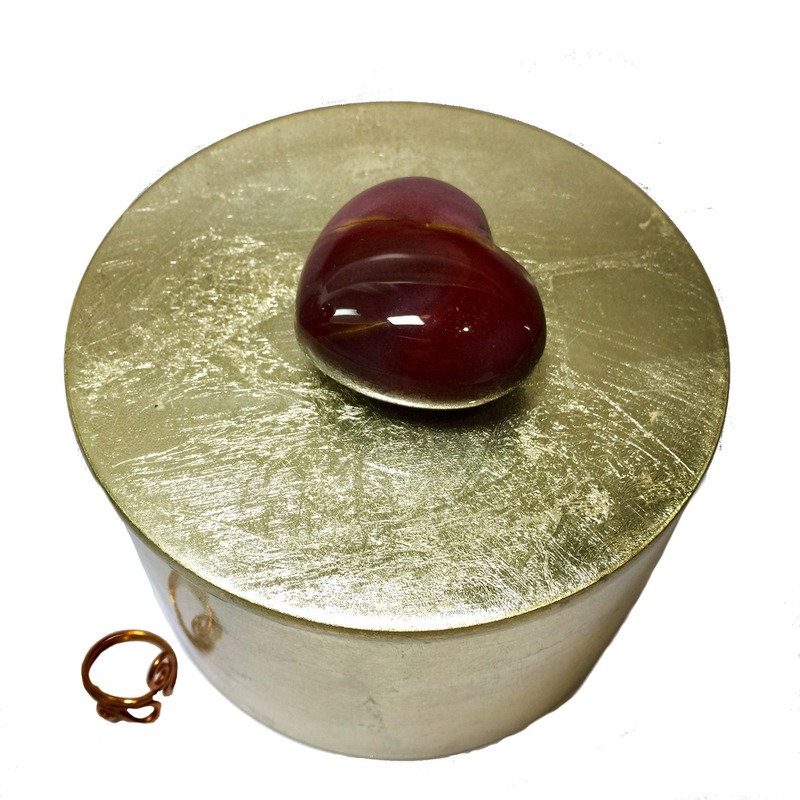 Topped with a polished 45mm Mookaite Gemstone HEART, this round Brushed Gold Lacquer Keepsake Box is the perfect 💘Valentines Day Gift for Her. Surround her with love and luxury. 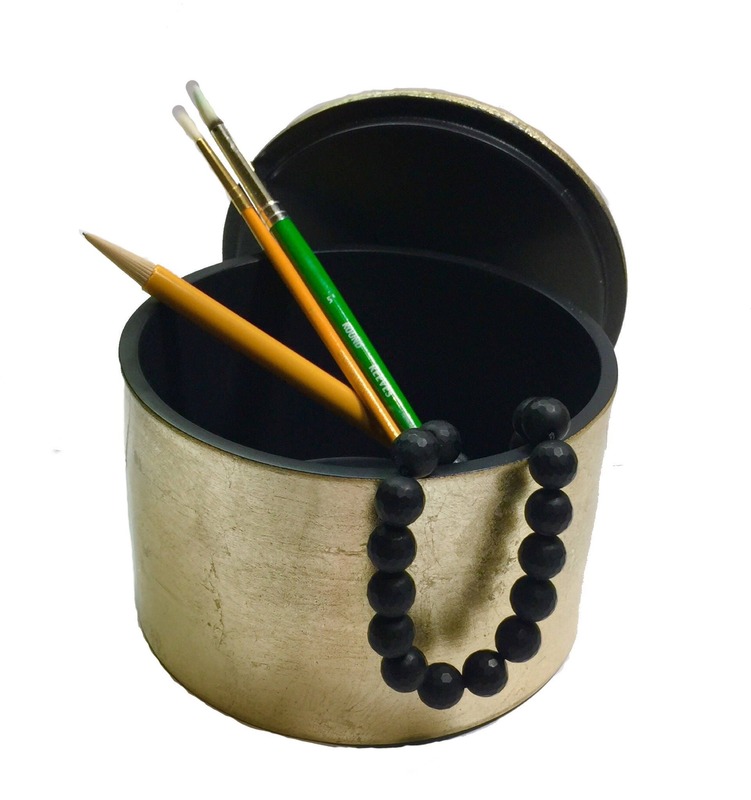 This exquisitely rich brushed gold Heart Jewelry Keepsake Box is an absolute statement piece. 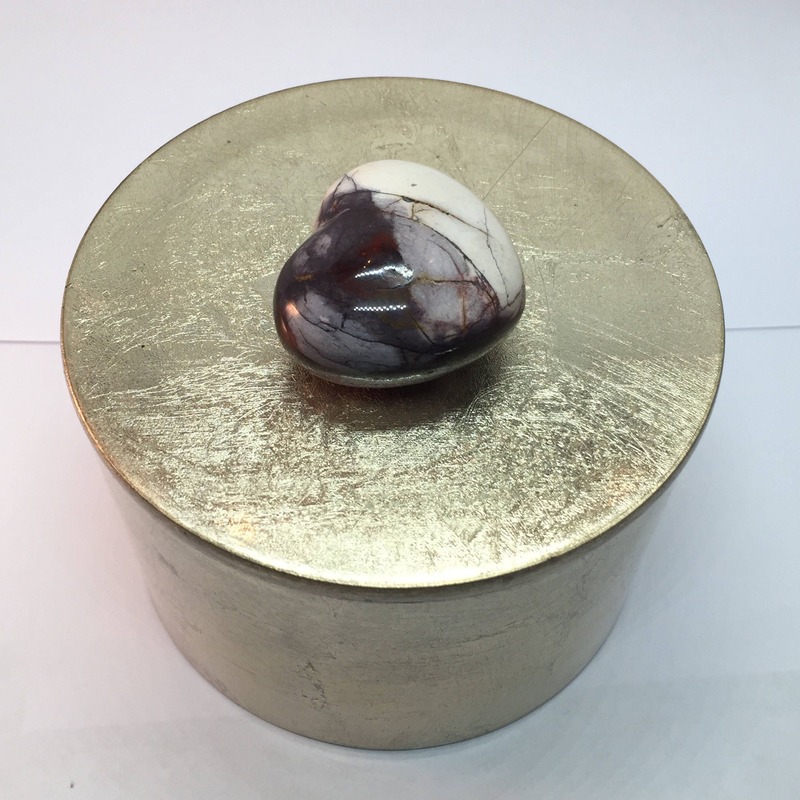 Adorned with a beautiful purple - maroon polished Puffy Mookaite Gemstone Heart, this sleek Valentines Day box is a perfect fit for an office, vanity storage, nightstand or as a fabulous home decor piece on your living room coffee table. 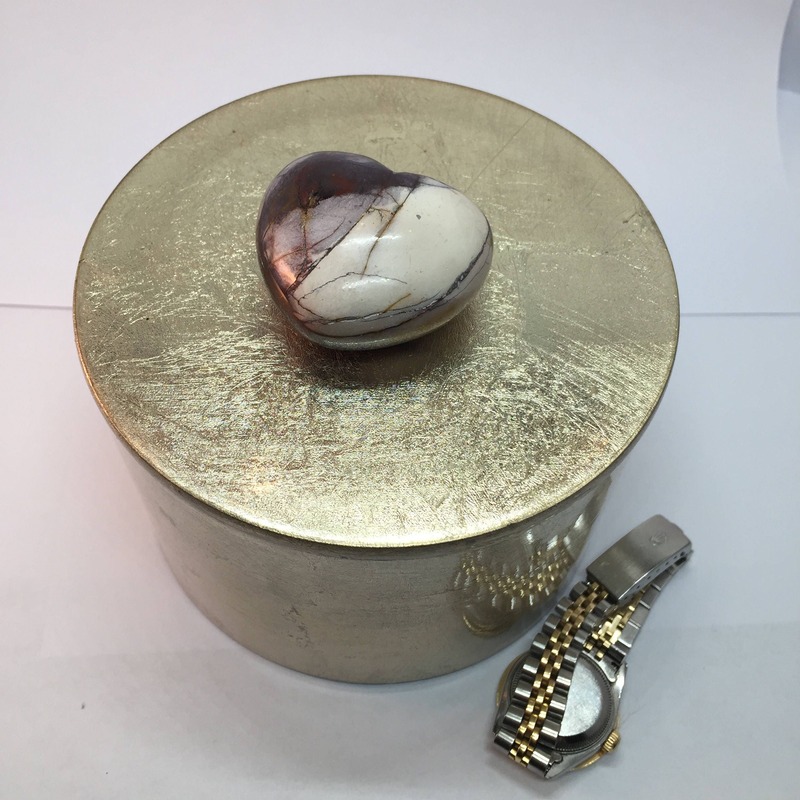 Use this stone box to store anything from jewelry, trinkets, candy, tea bags, cotton balls, paper clips, etc. This box is waterproof and food safe, the lid lifts off. Flat black interior. 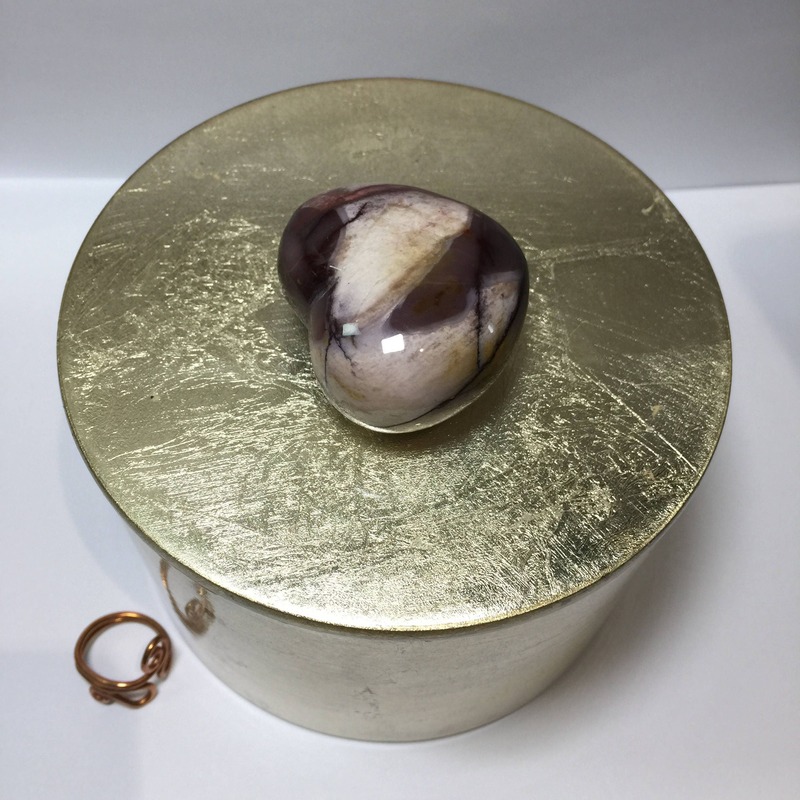 Makes a high fashion luxury gemstone display. 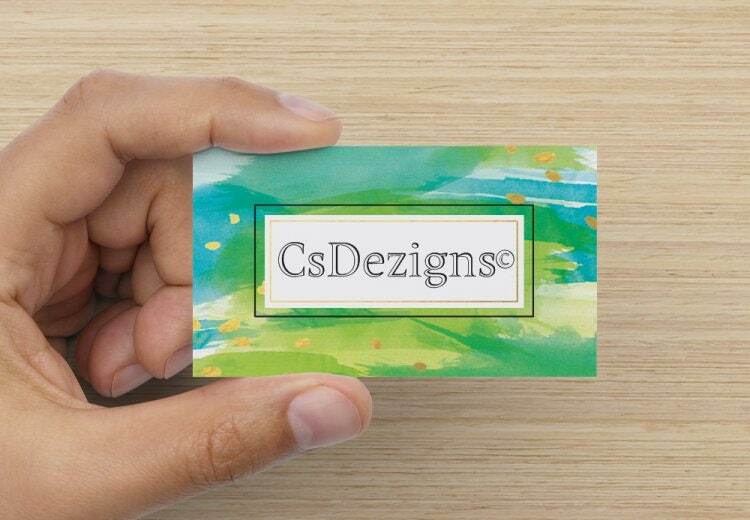 Perfect for hostess, bridesmaid, best friend, mother, sister, wedding, baby shower, etc. 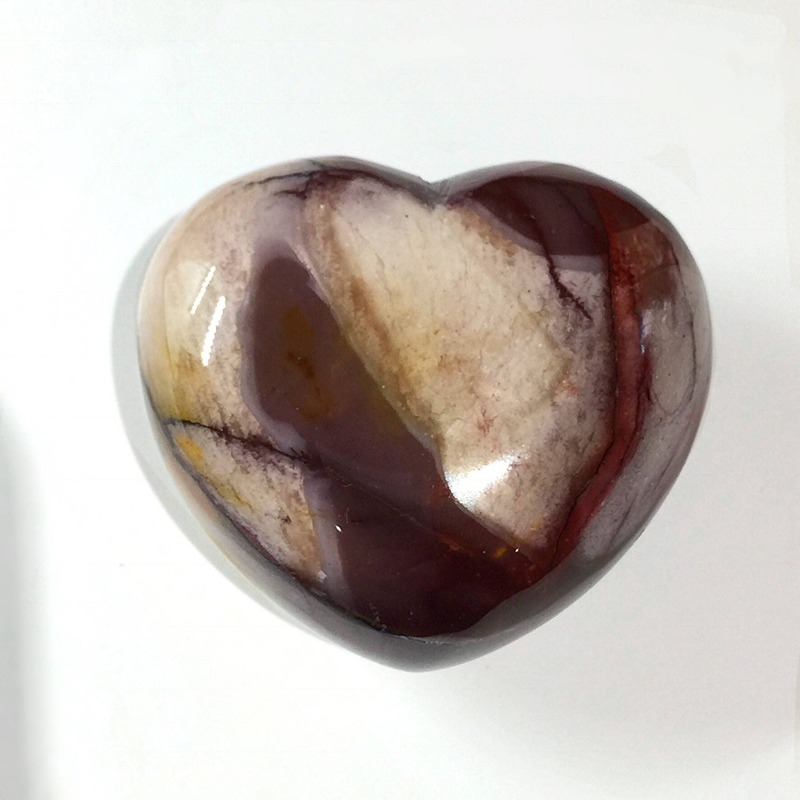 ☯☯☯The Qualities of Mookaite☯☯☯ Anti-Aging, Mookaite puffy heart shaped gem stone is beautifully polished. 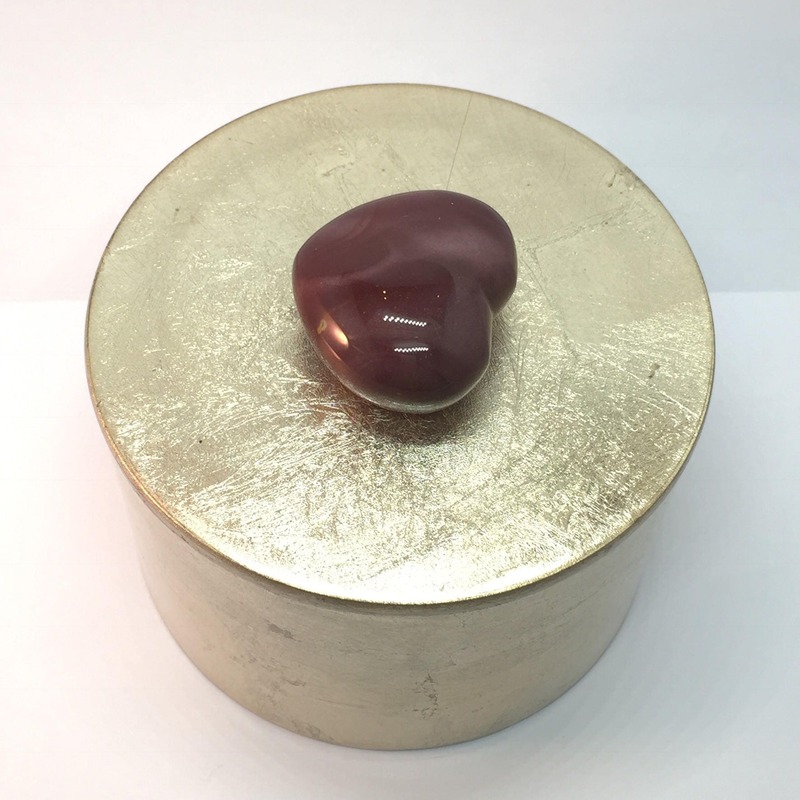 Mookaite is a good polished stone of the here and now, and can help one balance the internal and external and acceptance of change. 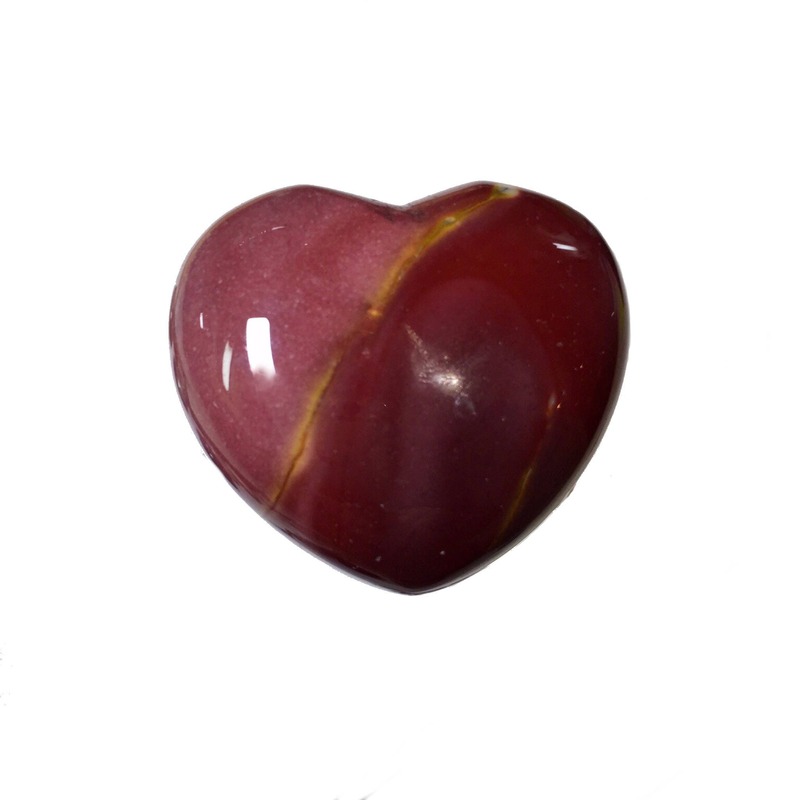 Mookaite is a very protective stone, and is particularly good as an emotional protector. In the physical realm it stabilizes and slows down aging, improves health and fortifies the immune system. 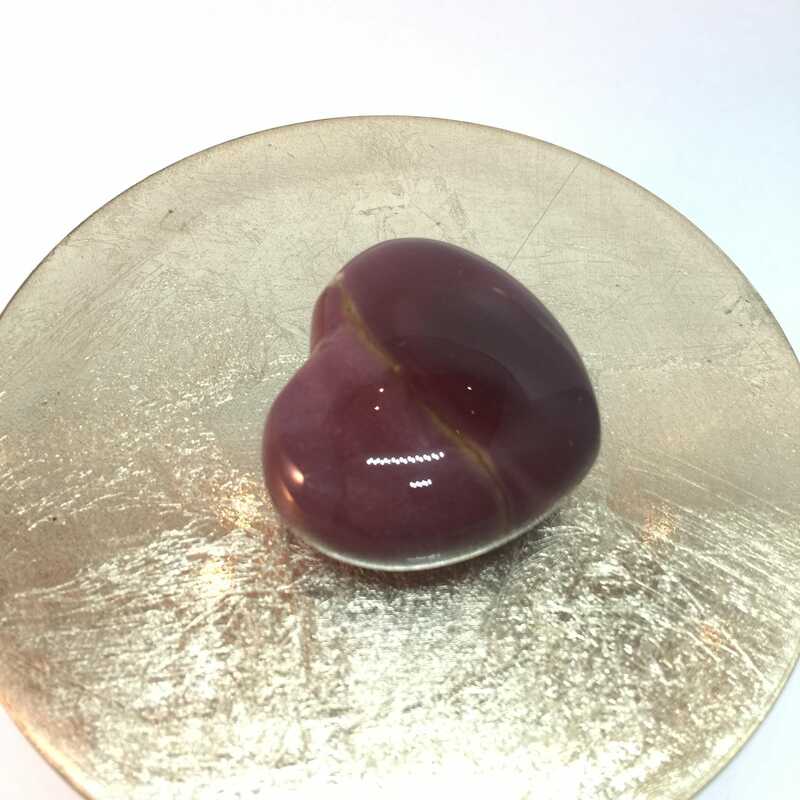 Mookaite is associated with the lower chakras. Mookaite also know as Mookite, Mook Jasper, Mook Mook.